Say it with FLOURS (see what we did there?) this Valentine’s Day! 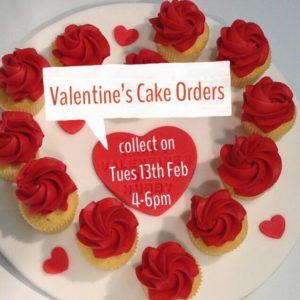 Order from our range of Valentine’s cakes and cupcakes to show someone you really care. Please note all orders will need to be collected from Cakery HQ in Waunarlwydd on Tuesday, 13th February between 4pm and 6pm. 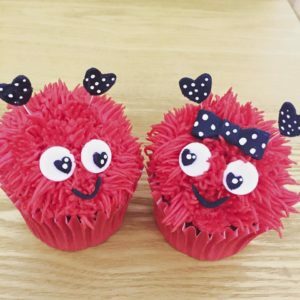 We are unable to accomodate orders outside of this time at the moment, so please ensure that you (or someone you trust not to eat the cakes!) will be available to collect between these times. 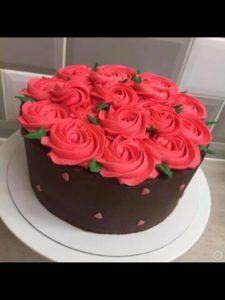 To place your order email hello@theraspberrycakery.co.uk before 3pm on Sunday 11th February or come and visit us at Marina Market, you will recieve an email confirmation will full details for the collection, please make sure you have this before coming to collect your order. 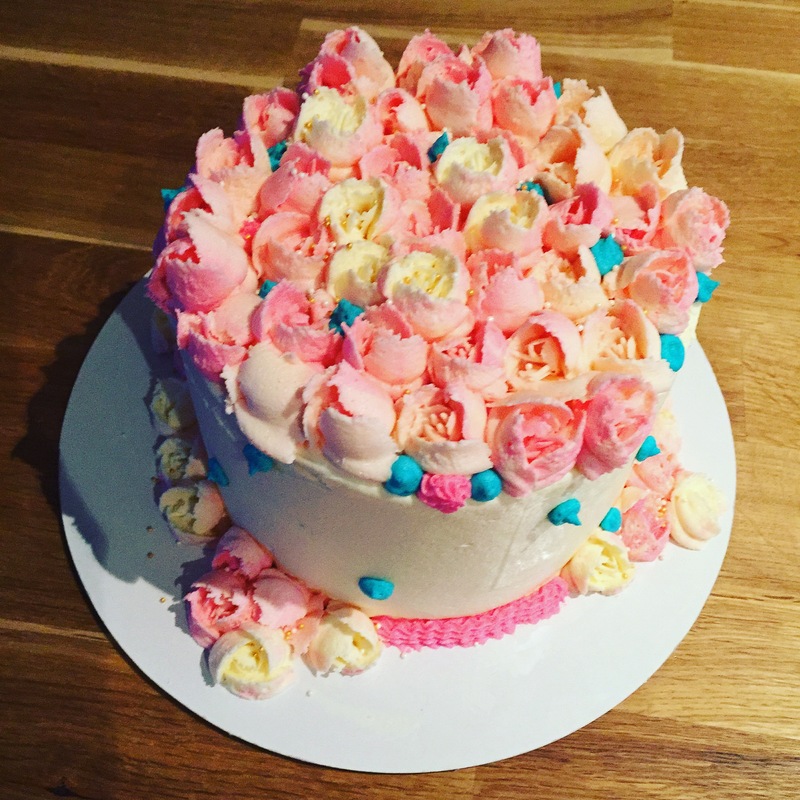 All cakes, except Red Velvet, are also available gluten free, and can be personalised. Please include full details in your email. Cupcake bouquets, presented on a board. All vanilla flavour. Personalised with a message of your choice – £20. 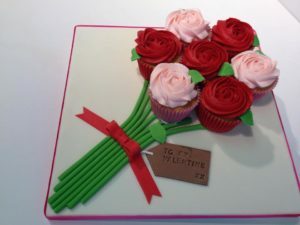 Mini cupcake heart wreath – 12 mini Vanilla cupcakes presented on a board with personalised message: £10. If you can’t wait, we will have a range of Valentine’s Cupcakes available to purchase at Marina Market on Sunday, 11th February between 10am and 3pm.